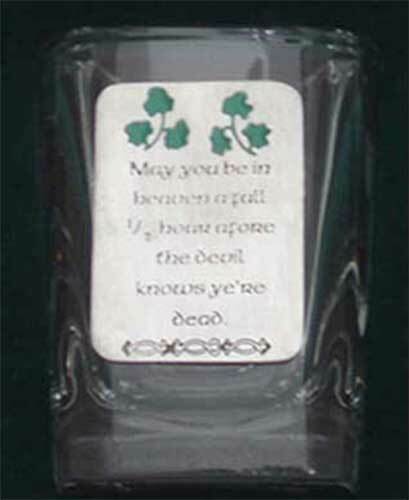 May you be in heaven a full ½ hour afore the devil knows ye’re dead. May the sun shine warm upon your face. And the rains fall soft upon your fields. 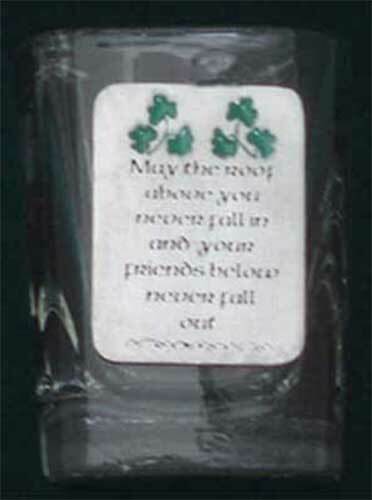 May the roof above you never fall in and our friends below never fall out. 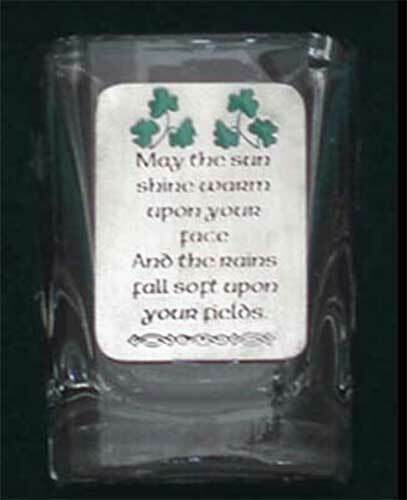 These Irish shot glasses features a different pewter blessing emblem with green enamel shamrocks on each of the four measures. The square shaped shot glasses measure 2 1/2” tall and hold 2 ounces of whiskey. The dishwasher safe, Irish blessing shot glass set is made in the United States and is gift boxed with a shamrock history card, complements of The Irish Gift House.